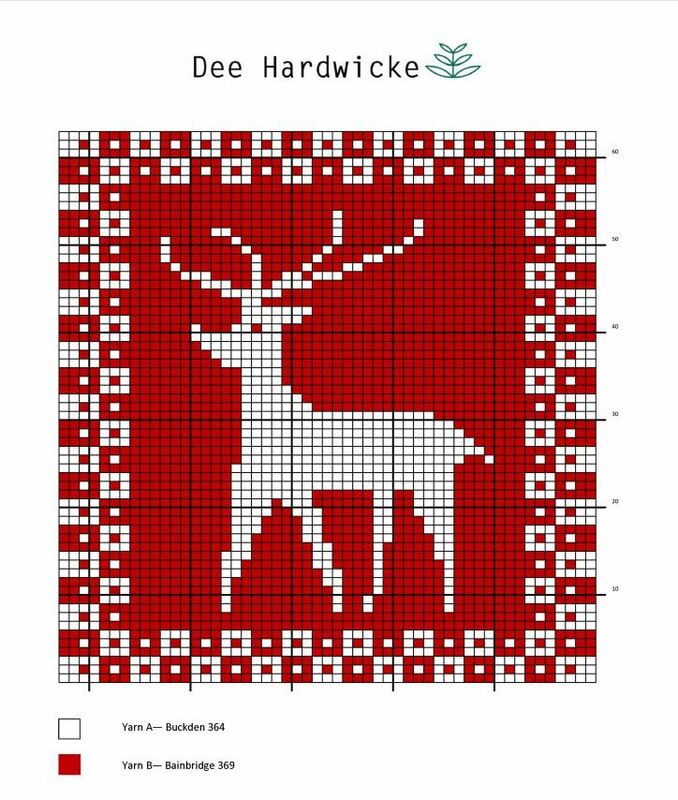 Get Crafty - Exclusive Dee Hardwicke Knitted Reindeer Pot Stand - The Turtle Mat Blog - For news, features and competitions! The Turtle Mat Blog – For news, features and competitions! Rebecca Wilson on the subject of Crafts. Posted on October 9th, 2014. We’ve teamed up with Dee Hardwicke to bring you this exclusive knitted reindeer pot stand pattern – perfect for Christmas entertaining! We’re also offering one lucky knitter the opportunity to win a signed copy of Dee Hardwicke’s Little Colour Knits her highly successful knitting book in collaboration with Rowan yarns. 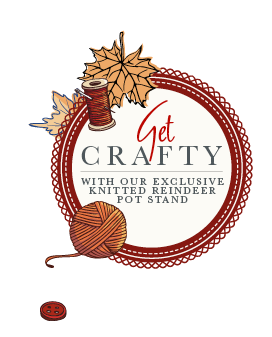 Just send us your pics of your finished knitted reindeer pot stand on Facebook by 30/11/2014 to be in with a chance of winning. Just click on the pattern below and then print to get started in creating your reindeer pot stand. You’ll also find all the instructions you need below the pattern. Tension: 26sts and 34 rows to 10cm/4in square measured over stocking stitch using 3.25mm (US 3) needles, or size to obtain correct tension. Charts are read from right to left for a right side (knit) row and left to right for a wrong side (purl) row. 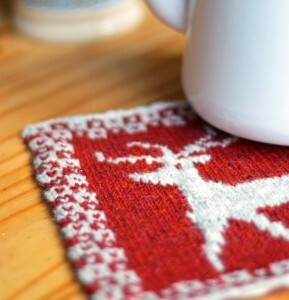 Strand the yarn across the tile borders for this pot stand, and use the intarsia technique for working the reindeer. The intarsia technique allows you to knit a motif on a specific area of your work, without the need to strand yarn across the entire width of a row as you would with Fair Isle colour work. When you come to change colour, you just need to make sure that you secure the old yarn with the new one to avoid getting any holes. Knit the row in your base colour until you get to the point where you need to change colour. Drop the working yarn, bring the new colour up from underneath and over the “old” colour, and knit with it. When it comes to changing again, simply do the same. Drop the colour you have been knitting with, bring the new colour up from underneath and over the old one, and knit with it. Purl up to the colour change. Drop the old yarn, bring up the new from underneath and over the old yarn and purl the stitch with the new yarn. Often you won’t be changing colour for a vertical line. As long as you always remember to bring the new yarn over the old, you will avoid holes for a more intricate pattern. Using 3.25mm (US 3) needles and yarn A, cast on 53 stitches. Working in stocking stitch throughout and using chart as a guide, work all rows of colour chart to complete pot stand. For neatness, we recommend knitting the first and last stitches of each row to ensure your pot stand sits flat. Cast off using yarn A. Block or press to size as preferred. Sew in ends. Thanks very much for this lovely little pattern – I’m thinking it would look perfect in the middle of a cushion, on a scarf or a pocket on a jumper – endless possibilities! Hi Sue, we love your idea for using this pattern and agree there are lots of possibilities. I think I may try and knit a whole host of these, reversing the red and white on some and then have an alternating blanket perhaps or a table runner in red/white and then white/red.